'You can't go into a negotiation just saying no' - will the European Commission compromise? UK Prime Minister Theresa May has been met with frustration on all sides, after winning a vote in Parliament that sent her back to the EU to renegotiate her Brexit deal. May is looking to make changes to the Irish backstop, the insurance policy written into the withdrawal agreement that ensures there will be no hard border between the Republic of Ireland and Northern Ireland- but also doesn't clear the hurdle of pulling the entire UK out of the customs union. But the door to a new deal has been slammed in her face by EU leaders who say there's no reopening the agreement, and the deal already made is the only deal on offer. 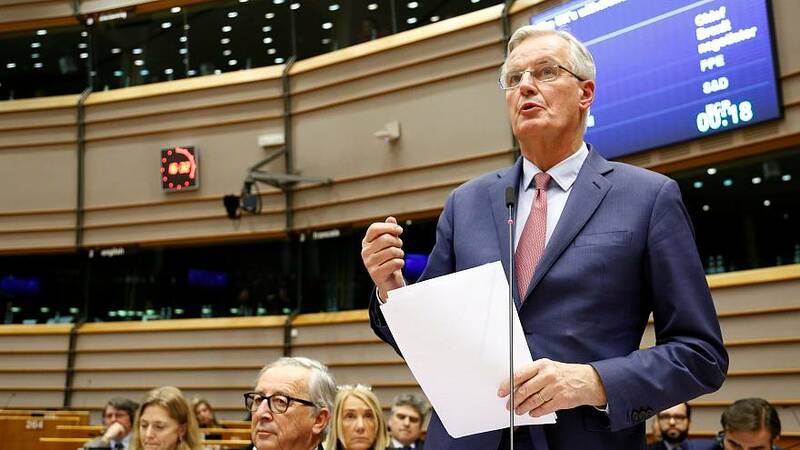 In an address to a session of the European Parliament in Brussels, EU chief Brexit negotiator Michel Barnier expressed his frustration. "We will do nothing that could compromise the future of the European Union in this negotiation," he said. But according to leave-voting political commentator Iain Dale, there simply has to be some kind of compromise. "You can't go into a negotiation just saying no - and that is what the European Commission is doing at the moment."